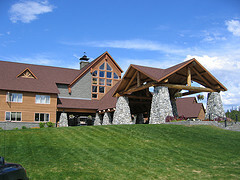 Talkeetna, Alaska Hotel Reservation: Talkeetna Hotels, Lodges and Resorts. 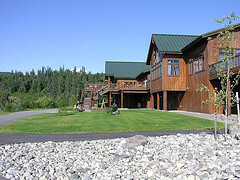 Denali Park Lodging. 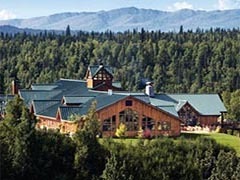 Bordering Denali State Park, the Mt.McKinley Princess Lodge is a deluxe wilderness retreat with excellent views of Mt.McKinley - North America's tallest peak. 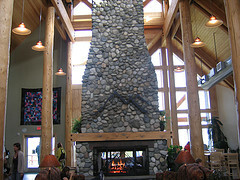 The great room features seating areas around a huge rock fireplace, restaurant with Alaskan seafood specialities, many recreational activities, gift shop and large outdoor decks. 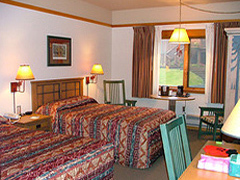 All guest rooms provide a lofty 9' ceiling, private bathroom, seating area, TV, phone. Daily shuttle service to Talkeetna. Just a 2-hour drive from Anchorage the Talkeetna Alaskan Lodge provides spectacular views of the Alaska Range and 20.320 ft. Mt.McKinley. 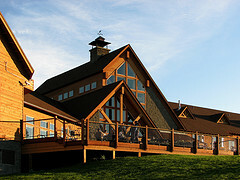 Relax in the great room with a 46' rock fireplace, sample award winning Alaska cuisine at the restaurant, bistro or within the lounge, shop at the Tokosha Gift Shop with a unique collection of Alaskan Native Art and other Made in Alaska products or enjoy the breathtaking view from the expansive outdoor decks. All 212 rooms and suites with forest or mountain view are providing private bath, hair dryer, coffee maker, satellite TV, phone and wireless internet. 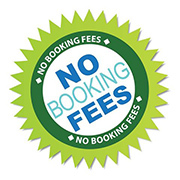 Free shuttle service to Talkeetna, meeting rooms, laundry service.